Home News Are You Ready For Some DeSoto Football? DESOTO—DeSoto Eagle Football – a powerhouse with results in reaching the playoffs, top collegiate signees and development of boys into men. Is this the year for DeSoto Football? After topping Dave Campbell’s local list of seniors going D1, ranking preseason #8 and everyone’s radar, again, here’s how the team is shaping up for 2016, Head Coach Todd Peterman’s second year at the helm. 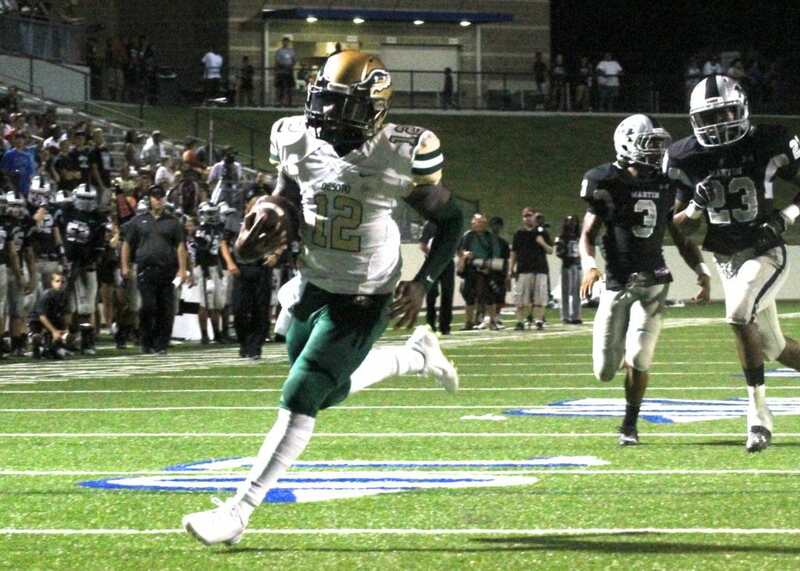 DeSoto has added TCU pledge Shawn Robinson, a transfer from Denton Guyer. He’s a four-star recruit and the top-rated quarterback in the area. Four-star recruit KD Nixon, ranked the 37th-best wide receiver in the nation by 247Sports.com, missed four games last year with a hamstring injury. 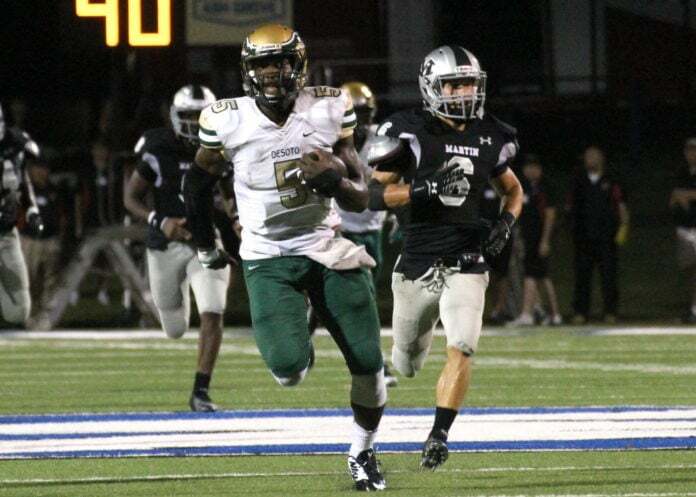 Nixon was still DeSoto’s second-leading receiver. Laviska Shenault was DeSoto’s leading receiver last season and is committed to Colorado. On defense, defensive back Isaiah Stewart is committed to Nevada. Defensive lineman Wesley Green and linebackers Kemonte Yow and Kolby Watts, were first-team all-district selections. DeSoto currently has 20 students-athletes with FBS (D1) or FCS (D2) offers, as well as two student-athletes with NCAA Div. 2 offers. A total of 22 seniors student-athletes with offers before we even start the season! Head coach Todd Peterman and his staff do an excellent job of ensuring the success of their athletes in the classroom, and on the field. “You’re not going to get early offers really if you don’t have good grades and that’s why we have so many besides the kids being great athletes,” Coach Peterman said in regards to why DeSoto has so many FBS commits. DeSoto will have their season-opener August 26th vs Dallas Jesuit as they begin their run for a 6A State Title. Buy your season tickets and parking pass for the entire season! Athletic Office: 7:30 a.m. to 4 p.m.